“In five years’ time, today’s hotel room facilities like hotelinformation sheets, brochures, alarm clocks, and remote controls, will be combined onto one device.” This is the vision of SuitePad-duo Moritz von Petersdorff-Campen and Tilmann Volk. 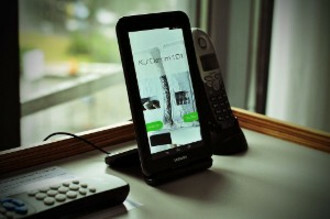 The team of Ku’ Damm 101 Design-Hotel shares that vision and equips, as one of the first hotels in Berlin, some of the rooms with the digital-concierge tablets from SuitePad. 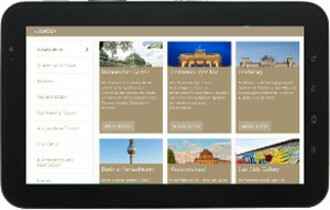 Guests can purchase hotel services and external offers straight from the devices with a tap of a finger. At the same time, the SuitePad functions as an in-room entertainment device with news, music and videos for patrons to enjoy. Feedback can be shared instantly with the service team or even the management. “Our guests have high expectations when it comes to the technological equipment in our hotel. The whole concept of SuitePad suits this hotel perfectly. We are proud to work with a cutting-edge partner.” says Christoph Nuppenau, director at Ku’ Damm 101 Design-Hotel.